Jesse E. Taylor is International President of the Brotherhood’s Relief and Compensation Fund (BR&CF). Brother Taylor was born in Pekin, Illinois in 1970. He began his railroad career in 1995 at South Pekin, Il., as a brakeman/conductor for the Chicago and North Western (CNW). Shortly thereafter, he was assigned to Chicago where he worked in passenger and freight service. He entered engine service in January of 1996, and as a result of the merger between the CNW and Union Pacific Railroad, he transferred to St. Louis later that year. 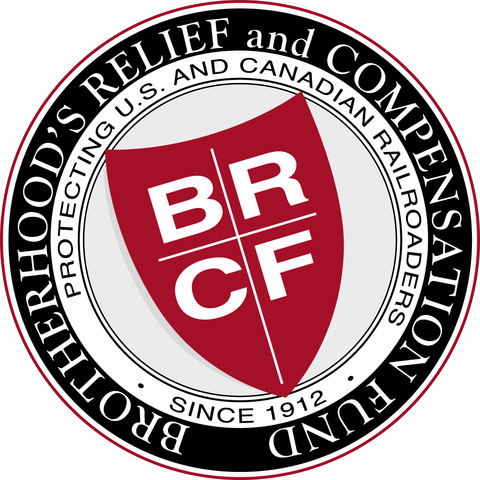 Brother Taylor joined the BR&CF in 1996. In 2002, he was appointed Terminal President of Dupo, Illinois, Terminal 389. Brother Taylor has served the membership in several capacities since joining the BR&CF Board in Directors in 2002. He was elected by the membership to the position of Director, Assistant International Secretary-Treasurer, International Secretary-Treasurer, Assistant International President, and International President which is the office he is currently serving today. Prior to hiring on the railroad, he served six years in the United States Navy as a Fire Controlman (FC) in the advanced electronics field. He had the honor of serving on the aircraft carrier, USS Ranger (CV-61), homeported in San Diego, CA., and the Aegis Cruiser, USS Vicksburg (CG-69), homeported in Mayport, FL. Brother Taylor and his family relocated to Pennsylvania in 2004 to begin working out of the principal office. He and his wife are the proud parents of two children. Their daughter is a junior at The Ohio State University and son is a senior in high school.